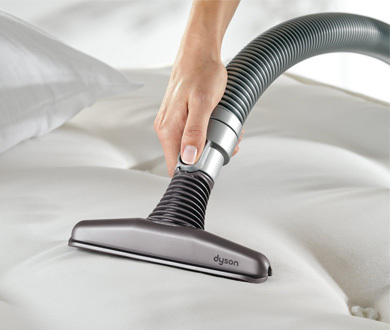 Keeping your bedding clean is very important – not only because of hygiene but also to keep allergies at bay. Nothing is more frustrating than seeing pesky stains all over your mattress topper when you wake up in the morning. 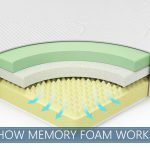 Given the delicate structure of the memory foam in the mattress topper, they cannot simply be tossed in the washing machine. 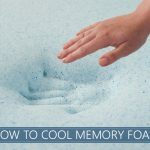 They require a different approach because the centrifugal force of the washing machines can damage the fine structure of the foam and the foam can tear apart when soaked. 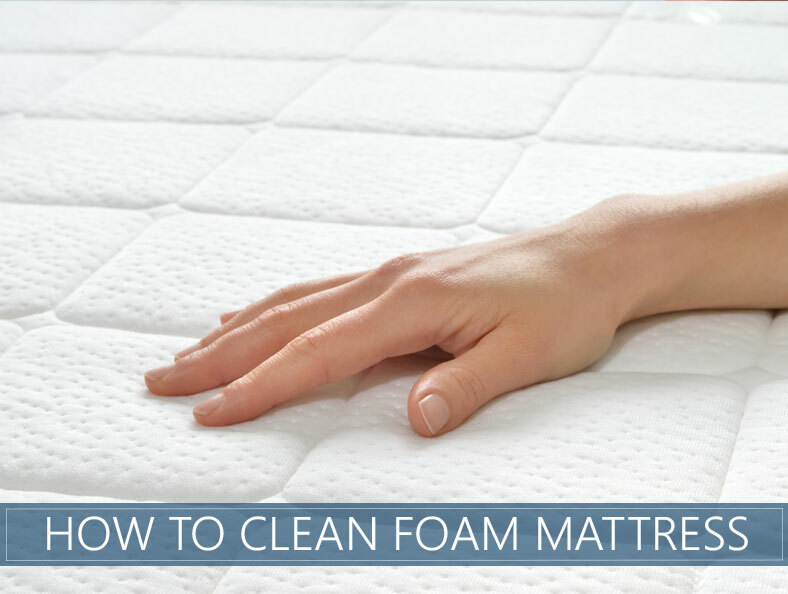 However, there are 3 easy ways to clean your mattress topper, so read on to find out how. There are certain steps you should take before starting, so to begin with, make sure your topper is in the right position for the cleaning process. Depending on how bad the stains are, you may have to remove it from the bed and place it somewhere where you can clean and dry it easier. In some cases, mattress toppers require a long time to dry so make sure to place it in a ventilated area so that it can dry completely. If you use the mattress topper when it is still damp, its structure will damage, so make sure that it dries completely. Are you looking to find the best mattress topper available? Be sure to read our comprehensive guide. By simply cleaning it with you vacuum cleaner you will get rid of all the dust and grime and prevent micro-organisms from forming on its surface and possibly even inside its airy structure. Make sure your topper is placed on an even surface so that your vacuum cleaner can reach all the spots. Using water-based vacuum cleaners is also advisable, however, make sure to leave your topper to dry for several hours before using it. Vacuuming often will save you a lot of effort and time and prevents spills to become hard to clean stains. Once a week should be enough to keep it in excellent condition. Make sure to use the vacuum cleaner on both sides of the topper for best results. After you finish working on the stains with a vinegar and water solution, you can proceed using the same washing detergent used for clothes to clean the rest of it. It is up to you when it comes to using liquid or regular washing detergent. Mix it with water and gently apply it to the stained area. Make sure to dissolve the detergent with water as leaving tiny particles of it during the cleaning phase will damage the surface of your mattress topper. Again, use circular hand movements and rub the detergent so that it penetrates into the stain to dissolve it from the inside. Leave the detergent on the stain for about half an hour in order to chemically dissolve stains and other impurities. We generally advise working on the stains until the detergent dissolves them completely and repeating the process for best results. Baking soda mixed with water is another great natural solution for cleaning persistent stains. Baking soda is an essential ingredient in almost any situation when cleaning is needed so chances are you already have it in your pantry. Start by mixing one part of baking soda with two parts of cold water and stir it until the baking soda dissolves and the solution gets a milky, white color. Start to work on the stains with gentle movements of your hand and repeat the process until you get as much of the solution as possible on the stain as well as the area around the stained area. Leave it for about half an hour to soak. Afterwards use a mildly damp cloth to remove the solution and then use a dry cloth or paper towel to remove the remaining water. For more difficult stains and odors we recommend using a different approach because they will be harder to remove and take longer to do so. For blood stains or food and beverage spills we recommend using enzyme-based solutions. You might have seen that hydrogen peroxide is recommended for removing blood stains. This is completely wrong and it will cause damage to the surface of your memory foam mattress topper. Avoid it at all cost. Enzyme cleaners are the most effective solution for dissolving and removing the more persistent organic-based stains. They work from the inside of the stain by breaking, their its structure and making them easy to clean up and remove. Removing odors is easy with vacuum cleaners and a detergent/water mixture. It simply takes more turns to remove the bad smell from the topper completely. We also recommend exposing your topper to direct sunlight for short periods of time as the radiation of the sun and heat will remove most of the odor without you doing a single thing. We also advise you to keep your topper in the sun to remove all the remaining water that might have settled in during cleaning. 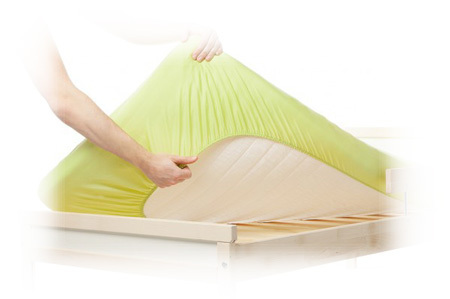 By using covers for your mattress toppers, you can keep them in perfect shape. Best of all, covers can be washed in the washing machine and this enables you to keep your toppers clean and in pristine condition. Unlike toppers, covers can be cleaned as often as necessary without the danger of damage. This saves you time. We suggest using cotton covers as they are soft and feel good under the skin. Covers are the best way to keep your bedding nice and clean with the least effort and time spent.